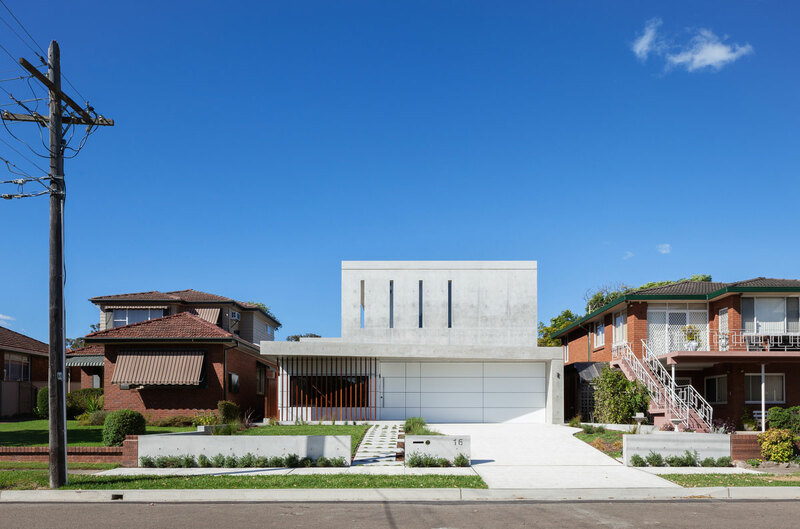 Utilizing two primary materials, concrete and aluminum composite material, Studio Benicio transformed a Sydney home into an enviable residence. 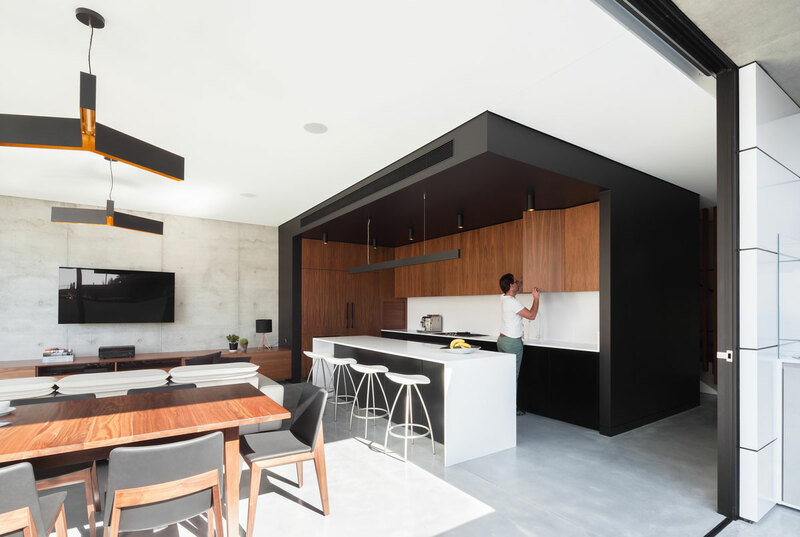 The designer, Ian Bennett of Studio Benicio, worked closely with the home owners, Anna and Phil, to create a design that would not only accommodate their family of four, but also create a modern reflection of the family itself. 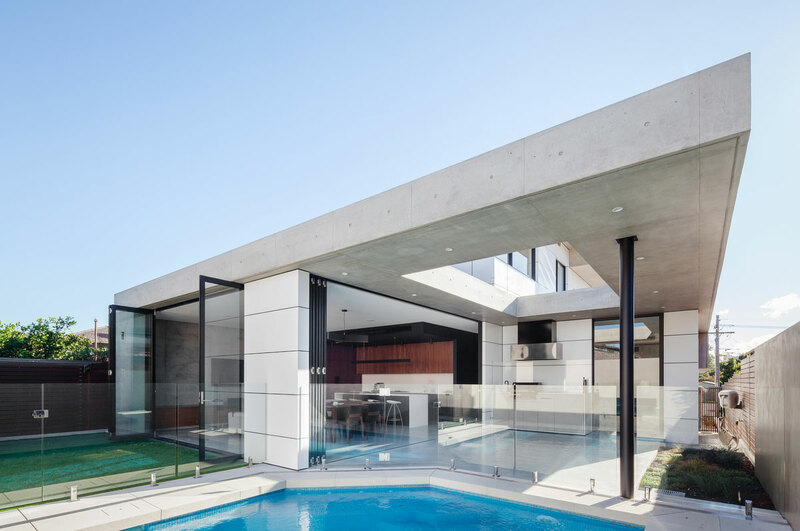 Concrete was chosen as the primary material for several reasons, one of which, it embodies home-owner Phil as he owns a local concrete formwork company, allowing his house to be in essence an advertisement for his growing business. Originally, the site featured a one-story, brick and tile cottage built in the 1950s. 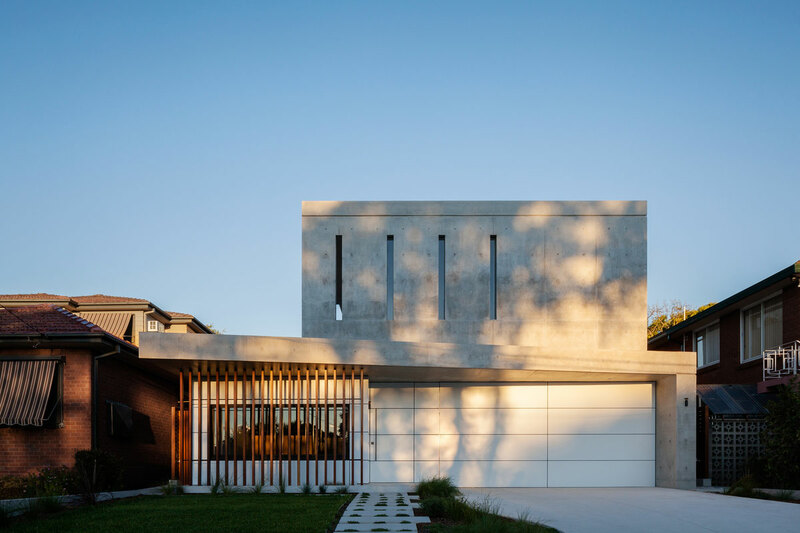 The owners were looking for a more modern residence that would take advantage of natural light and its surroundings. Yet, demolishing and rebuilding proved to be a difficult task in that strict standards were required in the development of the new home by the building Council. Forcing the designers to create a home that was completely compliant, to expedite the process and not cause unnecessary building delays. But the materials in which they chose were all low-maintenance, as requested by the family. Concrete and white Alucobond aluminum composite material creates a beautiful level of modest modernity to the neighborhood. 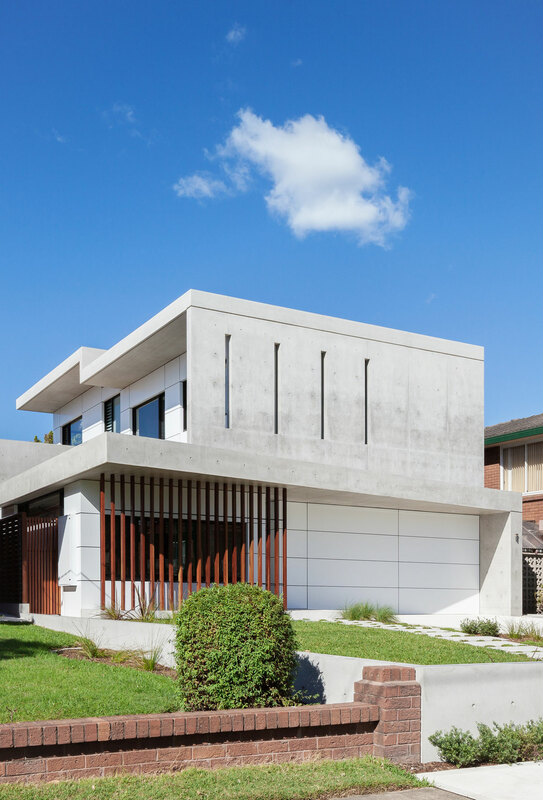 The use of natural building materials, timber and concrete, with the added and unassuming natural of a white ACM creates a captivating dynamic where it showcases, especially when placed in an 1950s locality, our collective movement towards innovative design practices.